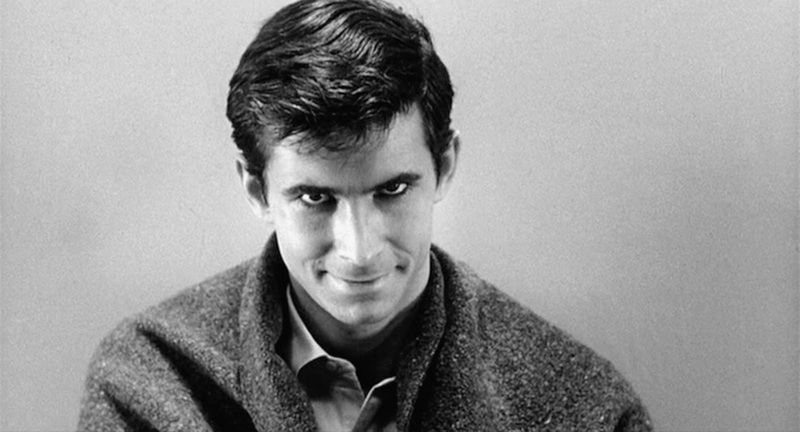 Norman Bates: It's not like my mother is a maniac or a raving thing. She just goes a little mad sometimes. We all go a little mad sometimes. Haven't you? Marion Crane: Yes. Sometimes just one time can be enough. Marion Crane is a young and beautiful bank worker, whom in order to begin a new life with her boyfriend Sam Loomis, steals $40,000 from her workplace, unbeknownst to Sam. During her drive she encounters a small and quiet hotel, ran by a nice young man who is mentally overwhelmed by his domineering mother. I always find it hard to write reviews for films I love so dearly and have such a personal effect on me, especially 'Psycho'. Actually I'm not quite sure if this can be classified as a review, the film is flawless and I could not for the life of me find one single aspect of the film to be critical about. Alfred Hitchcock, without a shadow of a doubt (no pun intended) is arguably the greatest filmmaker to have ever lived, for a man who has created more masterpieces than I have fingers, its criminally difficult to select one of his works and label it as his finest achievement, but if you ask me I will answer 'Psycho' every single time. Yes, I know it may be a cliche to pick this film but it is perfection personified, but then again so is 'Rear Window', 'Vertigo' & 'North by Northwest' among others, but there is just something to this film that almost absolutely transcends everything that came before or after it, it is cinema at its purest form and its a spellbinding filmmaker at the peak of his powers. 'Psycho' is the ultimate ''Director's film'', Hitchcock is playing his audience like a violin, predetermining our responses and playing with our emotions. At the end of the day, Hitchcock wasn't really fully invested in plot, he was invested in the spectacle of cinema and the experiences his audience was about to witness. 'Psycho' is about as well directed a film you will ever see, You enter the film aware of the man behind the madness, but once the first frame appears, you become utterly emerged in the spectacle that everything else becomes irrelevant. The film is scripted by Joseph Stefano, based on Robert Bloch's novel. From what I understand, at the command of Hitchcock, Stefano toyed heavily with script changing many details. While I cant judge the book, I will say Stefano's script is the ultimate in terror, suspense, bizarre and spectacle. This is a film that will keep you questioning yourself until the very end, aswell as terrify you beyond belief. A brilliant script that was brought to life perfectly by Hitchcock. This film features my favorite performance and my favorite film character of all time, and that is Anthony Perkins' Norman Bates. Perkins' performance is more than perfect, it is immortal, iconic and ever other possible positive adjective I can think of. Perkins' portrays a loveable, innocent and sad young man whom we can all suspect has a little something to him, I really cant put my love of this performance into words, just utter perfection. Speaking of perfection, Janet Leigh is also incredible in this, she is a seemingly kind hearted girl who makes just one wrong choice out of love and pays for it in a big way. She is so beautiful, and just so damn nice that we have to feel sympathetic for her. The supporting cast in this film is phenomenal, Vera Miles is perfect, John Gavin is perfect, Martin Balsam is perfect, Everyone is perfect! The film is arguably the finest horror film ever crafted, It would still be the undisputed king of the genre, if Stanley Kubrick didn't stick Jack Nicholson and his family in a snowed hotel for the winter twenty years later. I don't care how macho you are, this film will still leave you in terror. Its perfect pacing, haunting imagery and moments that will burn into your memory for as long as you live. This is horror at its absolute finest, actually this is just film at its absolute finest. This was my probably my 20th or so viewing of this film, and every single time Mr Hitchcock gives me an experience that makes me fall in love with film all over again. I can never truly convey how great this film is and how much I adore it, because its more than words can express. Noetic got it dead right, this film is ''Perfection''.